This volcanic cone in the Nili Patera caldera on Mars has hydrothermal mineral deposits on the southern flanks and nearby terrains. Two of the largest deposits are marked by arrows, and the entire field of light-toned material on the left of the cone is hydrothermal deposits. 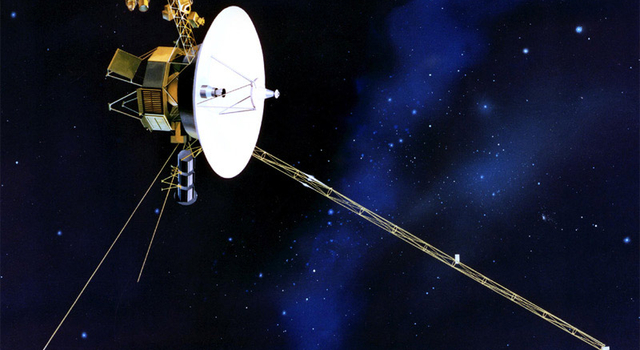 Image Credit: NASA/JPL-Caltech/MSSS/JHU-APL/Brown Univ. PASADENA, Calif. -- Light-colored mounds of a mineral deposited on a volcanic cone more than three billion years ago may preserve evidence of one of the most recent habitable microenvironments on Mars. Observations by NASA's Mars Reconnaissance Orbiter enabled researchers to identify the mineral as hydrated silica and to see its volcanic context. The mounds' composition and their location on the flanks of a volcanic cone provide the best evidence yet found on Mars for an intact deposit from a hydrothermal environment -- a steam fumarole, or hot spring. Such environments may have provided habitats for some of Earth's earliest life forms. 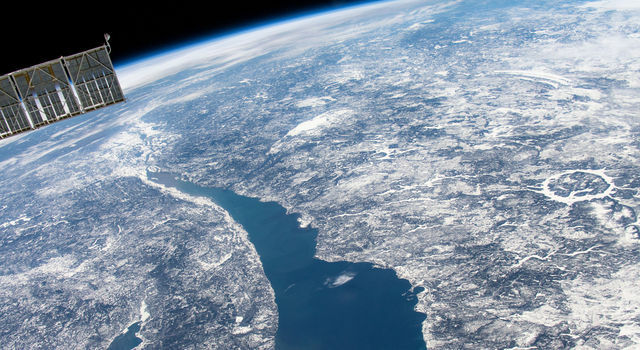 "The heat and water required to create this deposit probably made this a habitable zone," said J.R. Skok of Brown University, Providence, R.I., lead author of a paper about these findings published online today by Nature Geoscience. "If life did exist there, this would be a promising type of deposit to entomb evidence of it -- a microbial mortuary." No studies have yet determined whether Mars has ever supported life. The new results add to accumulating evidence that, at some times and in some places, Mars has had favorable environments for microbial life. This specific place would have been habitable when most of Mars was already dry and cold. Concentrations of hydrated silica have been identified on Mars previously, including a nearly pure patch found by NASA's Mars Exploration Rover Spirit in 2007. However, none of those earlier findings were in such an intact setting as this one, and the setting adds evidence about the origin. Skok said, "You have spectacular context for this deposit. It's right on the flank of a volcano. The setting remains essentially the same as it was when the silica was deposited." The small cone rises about 100 meters (100 yards) from the floor of a shallow bowl named Nili Patera. The patera, which is the floor of a volcanic caldera, spans about 50 kilometers (30 miles) in the Syrtis Major volcanic region of equatorial Mars. Before the cone formed, free-flowing lava blanketed nearby plains. The collapse of an underground magma chamber from which lava had emanated created the bowl. Subsequent lava flows, still with a runny texture, coated the floor of Nili Patera. The cone grew from even later flows, apparently after evolution of the underground magma had thickened its texture so that the erupted lava would mound up. "We can read a series of chapters in this history book and know that the cone grew from the last gasp of a giant volcanic system," said John Mustard, Skok's thesis advisor at Brown and a co-author of the paper. "The cooling and solidification of most of the magma concentrated its silica and water content." Observations by cameras on the Mars Reconnaissance Orbiter revealed patches of bright deposits near the summit of the cone, fanning down its flank, and on flatter ground in the vicinity. The Brown researchers partnered with Scott Murchie of Johns Hopkins University Applied Physics Laboratory, Laurel, Md., to analyze the bright exposures with the Compact Reconnaissance Imaging Spectrometer for Mars (CRISM) instrument on the orbiter. Silica can be dissolved, transported and concentrated by hot water or steam. Hydrated silica identified by the spectrometer in uphill locations -- confirmed by stereo imaging -- indicates that hot springs or fumaroles fed by underground heating created these deposits. Silica deposits around hydrothermal vents in Iceland are among the best parallels on Earth. Murchie said, "The habitable zone would have been within and alongside the conduits carrying the heated water." The volcanic activity that built the cone in Nili Patera appears to have happened more recently than the 3.7-billion-year or greater age of Mars' potentially habitable early wet environments recorded in clay minerals identified from orbit. 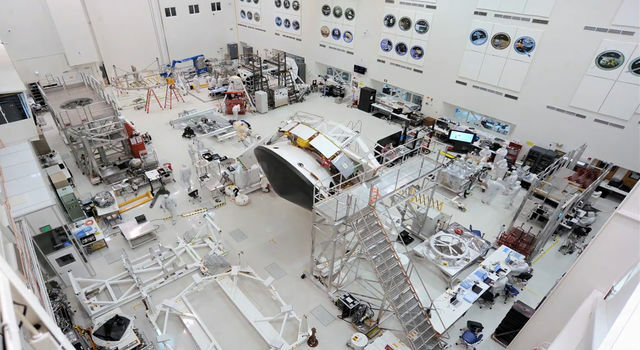 NASA's Jet Propulsion Laboratory, a division of the California Institute of Technology, Pasadena, manages the Mars Reconnaissance Orbiter for NASA. 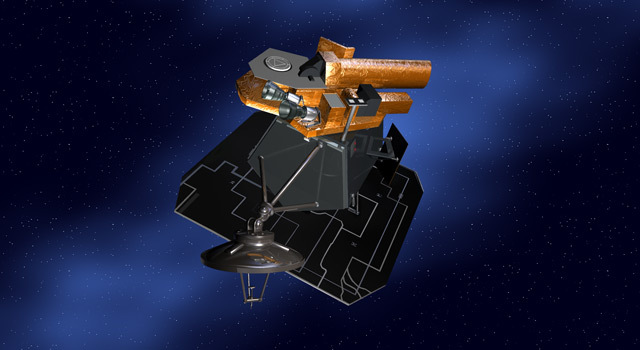 Johns Hopkins University Applied Physics Laboratory provided and operates CRISM, one of six instruments on the orbiter. 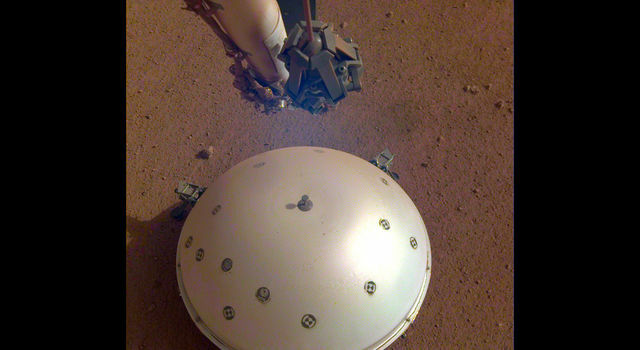 For more information about the Mars Reconnaissance Orbiter, visit: http://www.nasa.gov/mro.